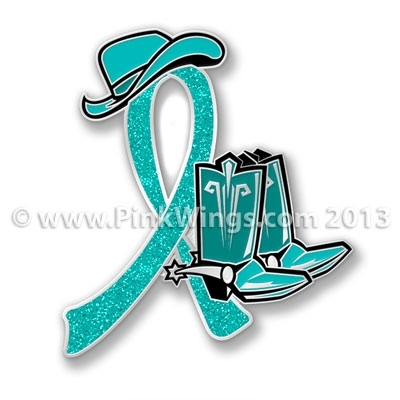 Teal Cowgirl Boot Pin has glitter and is 1 1/4" tall. It is a great quality Cloisonne lapel pin. Teal is for Ovarian Cancer Awareness.